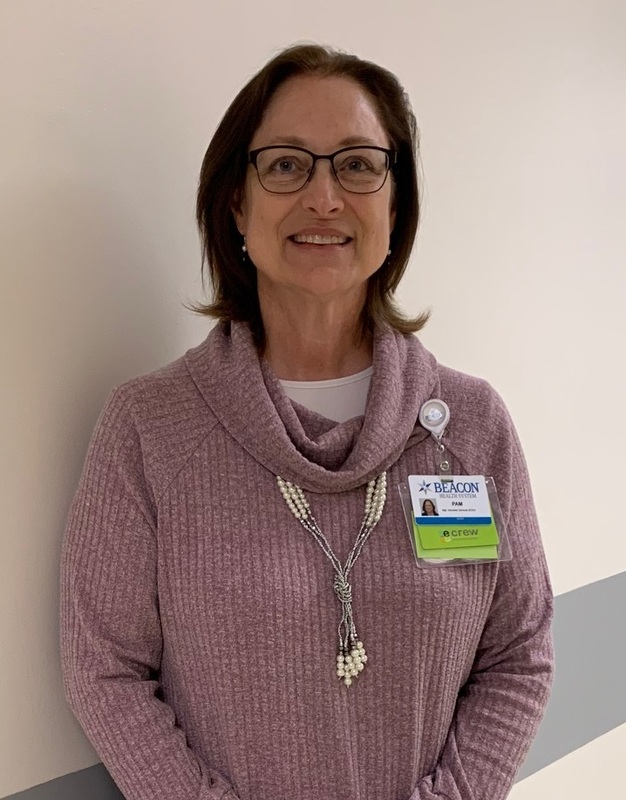 Michelle Bondurant, a co-worker, says Pam “displays integrity, compassion, respect and trust every day.” Pam is not only an employee at the hospital, she also volunteers her time and talent. Pam is an expert with needle and thread and she gets a great deal of satisfaction being part of a group that makes lap quilts and other things for patients. Quilting is just one of Pam’s hobbies. She is a highly regarded crafter. In addition to sewing, she creates cards and is very imaginative when she puts a scrapbook together. Pam and her husband Ken have a daughter, a son and six grandchildren. Pam likes to ski. She used to be a regular, but an injury several years ago had put her on the sidelines. She and Ken wanted to get every one of the grand kids to get on the slopes. Ken challenged Pam to get back in skiing shape and make it happen. Pam had gone back to school to get her Bachelor’s degree. She was tough on herself and felt compelled to earn a 4.0 average. She did it, but she paid a price physically. She was diagnosed with diabetes. Fortunately, the hospital had just started a program to help team members get healthier. Pam qualified. With guidance, useful advice and a lot of support, she established and adhered to a diet and exercise plan. She lost weight and her blood sugar fell dramatically. Pam has stuck to her regimen and now she is an unapologetic advocate of a healthy lifestyle. She talks openly about the changes she made and how she feels. “Our lifetimes are limited,” she says. “We should take care of ourselves.” What Pam has done is admirable. She is someone all of us can look to as an example of a vibrant, happy and healthy person.